Jimmy Kimmel has just discovered that "not all tweets are mean" and he learned this lesson for the best reason in the world. 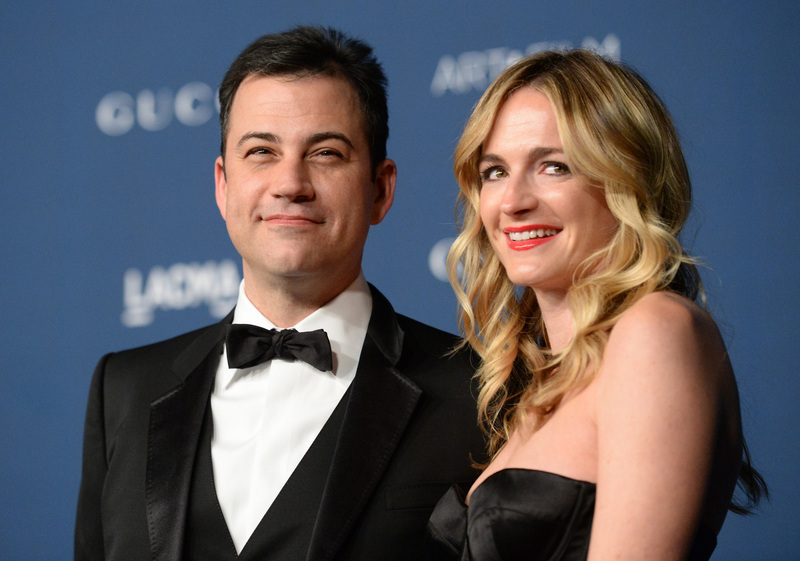 Kimmel and wife Molly McNearney have welcomed a baby girl! Kimmel announced the exciting news via Twitter on Thursday writing, "Congratulations to my beautiful and very tough wife @mollymcnearney on delivering our baby girl this morning." He followed up with a second tweet which referenced his popular celebs reading mean tweets segment saying, "Thanks for all your kind baby wishes - turns out, not ALL tweets are mean!" McNearney, who is the co-head writer for Jimmy Kimmel Live, also took to Twitter after welcoming their daughter. Not surprisingly, she went for a joke as well writing, "Kids, don't do drugs. Until you have a baby. Then do ALL OF THEM." According to E! Online, the couple have named their daughter Jane Kimmel and a rep for Kimmel and McNearney told the site that "Molly is doing great." Jane is Kimmel and McNearney's first child together. Kimmel also has two children from a previous relationship, Kevin and Katherine who are both in their twenties. Kimmel and McNearney's new daughter showed up just in time for a couple of other big events in their lives. Jimmy Kimmel Live was nominated for three Emmy awards Thursday morning including Outstanding Variety Series. And not only that, Kimmel and McNearney will celebrate their first wedding anniversary on July 13.